With the tackle-needy teams seemingly growing year after year, they’re finally in luck. Five guys are likely to end up in the first round with a few more possible to sneak in the back. 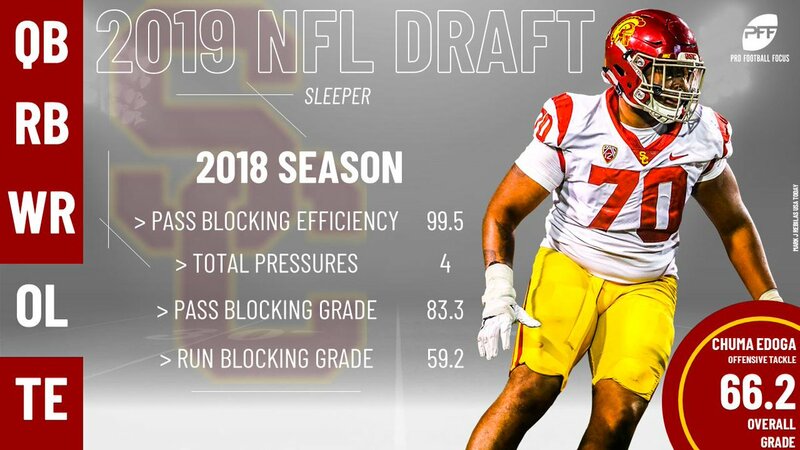 Jonah Williams is unquestionably our top guy after three years of superb grading at Alabama, although some may see him as a guard. The No. 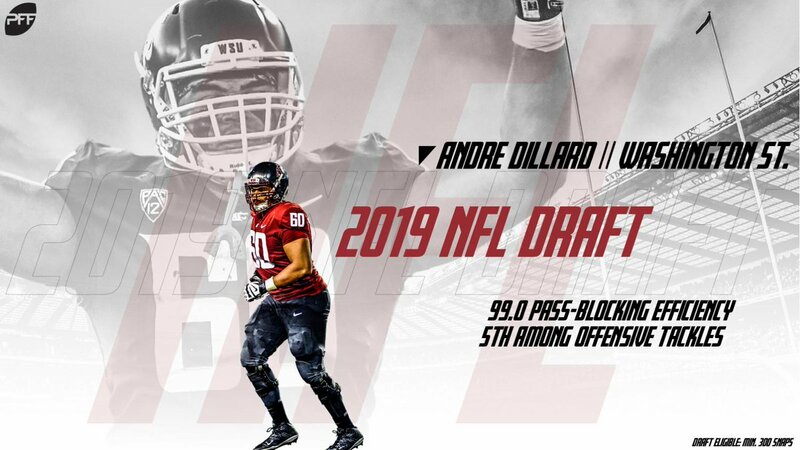 2 spot on the list is more hotly contested, but Andre Dillard’s NCAA leading pass-blocking grade gets the nod. 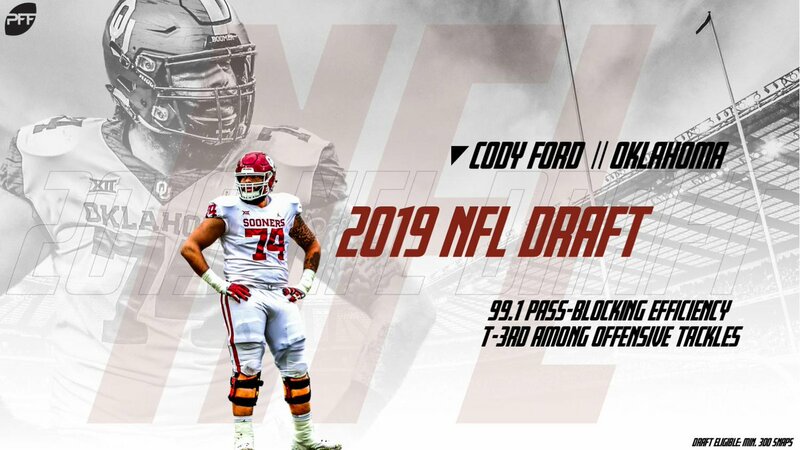 Jawaan Taylor, Dalton Risner and Cody Ford round out the likely first rounders and all have excelled in the PFF grading system. The Alabama left tackle was the second-highest graded tackle in the nation despite facing stout SEC competition and allowed only 12 pressures. 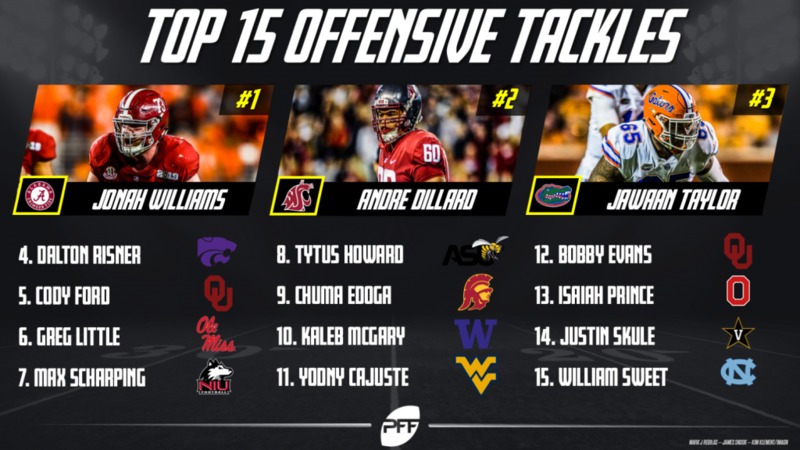 Dillard had the highest pass-protection grade of any starting tackle in the country at 94.0 this past season. Risner started all four seasons at Kansas State, and his lowest single-season grade was 87.9 overall.